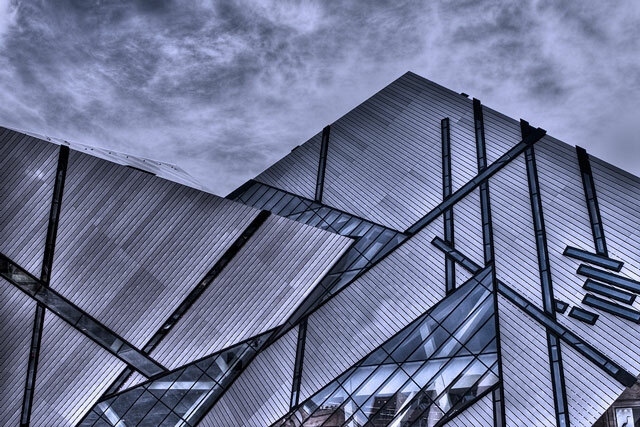 Those words were Michael Lee-Chin’s, on Daniel Libeskind’s concept for the ROM––and that’s probably putting it politely. The Crystal is a building that’s easy to hate: derivative of Libeskind’s other work, inspired by a napkin scribble, slapped on top of a gorgeous old building, not all glass as hoped, and wildly attention-grabbing in a city that likes its buildings straight up and down rather than wildly angular. The thing was practically asking for it. But the ROM Crystal is a grower, not a shower, and it’s just what we need: an architectural icon, and a new legend. It bursts out of the concrete (its jutting-out is the best example of a building of its magnitude actually literally connecting with the street) and is full of all sorts of neat surprises––those sidewalks that glisten at night, those windows you can see your reflection in from street level. It is the opposite of the utilitarian buildings we have far too much of; it’s more like architecture for architecture’s sake, the most beautiful tourist trap the city’s ever had. And hell, it’s only been half a year and it’s already survived a bomb scare, a lightsaber battle, a few big snowstorms, and a hell of a lot of vitriol. Things can only get better. Photo by Dave Macintyre from the Torontoist Flickr Pool.